Where to invest in Brazil? Brazil is a big country, and it is very easy to think of Brazil in terms of simply Rio De Janeiro and Sao Paolo in the south of the country, as the main centers of population and progress. The truth is that Brazil has incredibly diverse and multicultural cities throughout the country. While both Rio and Sao Paolo are famous throughout the world for tourism and economic reasons, from an investor perspective they are highly mature property markets that have achieved most of their growth already, with property prices easily comparing with cities such as London and New York. The truth of the matter is that if you are looking for mid to long term sustainable growth rates, then North East Brazil must be a consideration as it’s the growth here that puts Brazil as the fastest growing property values in the world in the last few years [Knight Frank Index]. 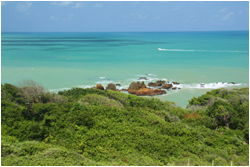 Land and property along the north east Brazilian coast is increasing at twice the value compared to the cities in the south, offering exceptionally quick growth in this region. So the question is which of the north east cities offers the greatest balance and opportunities at present? 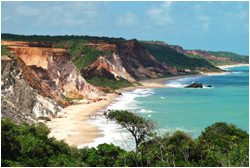 One city that ticks all of the boxes is Joao Pessoa on the most eastern point of North East Brazil. 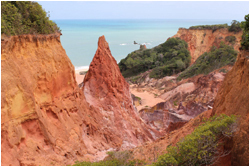 Considered by Brazilians themselves as one of the most beautiful cities and coastal areas (running south from the city), Joao Pessoa is undergoing significant growth. 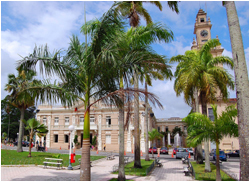 An estuary city with the lowest population density per sq mile of any Brazilian state capital, Joao Pessoa is highly modern with exceptional infrastructure supporting its rapidly growing 750,000 resident population. 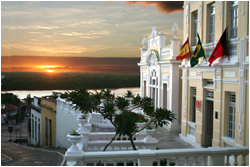 Boasting a year round average temperature of 80F and sunshine for more than 300 days a year, it is a Brazilian paradise. 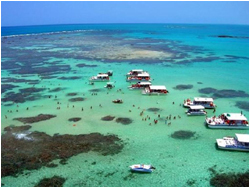 Joao Pessoa has some of the most beautiful beaches in Brazil, and is the second greenest city in the world behind Paris. 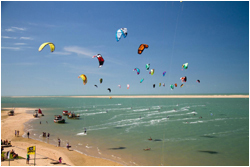 Being home to the year round kite surfing championships, it is also one of the leading kite surfing destinations in the world, and with all of these fantastic attributes, Joao Pessoa is close to every Brazilian’s heart. These factors have resulted in a recent surge in tourism (78% growth in 2011 alone, 95% of which are domestic travellers), creating one of the highest tourism occupancy rates within the country at approx. 80+%. 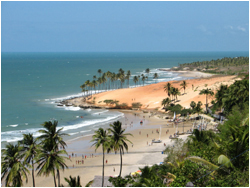 Joao Pessoa also has one of the fastest growing nightly hotel rates in the world. 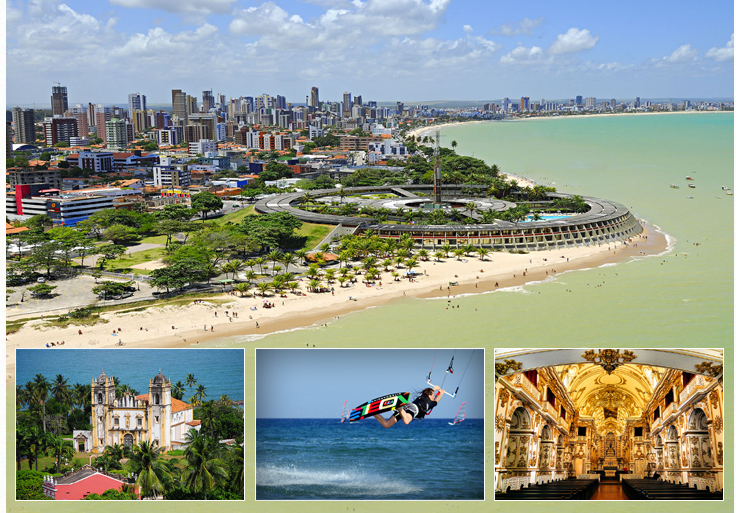 However to add to the endless list of highlights, it is also one of the safest cities in Brazil, and is additionally undergoing a significant industrial and economic surge right now. Already home to the world famous Oscar Niemeyer Arts Centre, the recently completed 25,000 capacity international conference centre is creating a surge in business and event travellers to the city and surrounding region, increasing local incomes, jobs, and demand for property in the middle class bracket. As a result of this surge the Joao Pessoa international airport is now being relocated and expanded to the south of the city to cope with the unanticipated growth in city visitors, and to further service projects such as this. Industry locally is dramatically expanding, with Fiat now building the largest car production facility in Brazil, creating 4500 new jobs, and is situated just a few minutes further south of the city on the state border of Pernambuco. This direct city growth in and around Joao Pessoa is further complimented by the 1000 unit retail and leisure park commencing construction – Mangabeira, which will create another 2500 jobs in total. A recent $400 Million USD Glass factory by a leading US manufacturer is also commencing build to add to the recent investments to the local area. 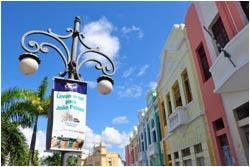 With manufacturing, textiles and agriculture being the mainstay industries of the state and the city, it is clear to see that there is much more to Joao Pessoa than only being the fastest growing domestic tourism city in the entire country, even before it taps into the ever growing international tourist market. 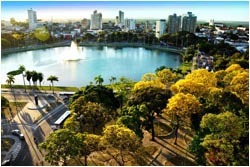 Currently, hundreds of millions of USD are being spent on major infrastructure development such as the high speed dual carriageway connecting Joao Pessoa to the two other state capitals of Recife and Natal, making the most beautiful city of the three easily accessible for commuters, which has resulted in many former residents of both Recife and Natal setting up home in Joao Pessoa. Roads, bridges, electricity and water infrastructure, airport development, commercial investment and massive tourism growth over the last 3 years is driving the demand for property both sustainably and rapidly, making the area in and around the south of Joao Pessoa Brazil’s best kept secret for property and land based investments right now. 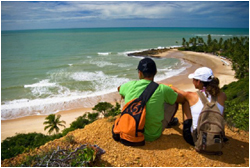 Put simply, Joao Pessoa is one of the fastest evolving cities in one of the fastest growing economies on earth. Because of the huge surge in local domestic wealth, tourism, employment and income, as well as the ability to now secure cheap long term mortgages, coupled with an already immense housing deficit, investment in the right land and property projects are exceptionally lucrative. When you identify the right projects that are licensed, in delivery, with safe and sustainable rapid growth, and that offer a direct exit/rental path into the domestic market, you are making a very smart investment decision that will continue to reap you rewards for the next few years at the very least. We understand that identifying projects that are safe, secure, well positioned, and that come with the right level of local support for you on-the-ground in Brazil (to manage exit, rental, and delivery), can be a daunting prospect in a new market. However, tomorrow’s final part of this series will introduce such projects that meet all of the criteria we’ve been discussing, and were specifically designed to make your life easier and ensure you get the greatest safety and rewards out of investing in one of the most sustainable property booms seen for a generation.